Chalet Hotel Les Ducs de Savoie has an excellent location in the centre of Val d’Isère and an atmosphere best appreciated by couples who wish to enjoy some of the very best skiing in a world class resort. The Ducs de Savoie is located in the heart of the main village and is just a 3 or 4 minutes’ walk to the main lifts including the Solaise Express, the Bellevarde Express Chair, and the Olympique Gondola, with connections to the Tovière ridge and the skiing in Tignes. The building is actually just off the main street so has a quiet location but is still in the heart of the resort. The bus stop is just 30m from the Chalet Hotel giving different options for the start of the day’s skiing, whether going to La Daille to be over in Tignes early, or to Le Fornet so you can be one of the first up on the Pissaillas Galcier. The Chalet Hotel has a lounge and bar on the ground floor where the pre-dinner apéritifs and canapés are served, before guests move on to enjoy evening meals with complimentary wine and tea or coffee in the attractive dining-room. There is a warm and welcoming atmosphere in the communal areas with comfortable furnishings and warm wooden decor. On one night a week, the evening meal is not included, but the location of the Chalet Hotel means that a choice of restaurants is close at hand and the Hotel Manager and Resort Team can always make suggestions for you. There is a selection of rooms from twins and triples to larger family rooms and suites and these are also available for couples. All bedrooms have an en suite bathroom and a flat screen TV (with some UK channels) and incorporated DVD. As with all Chalet Hotels, a buffet breakfast is provided every day with a cooked breakfast 6 days a week. Afternoon Tea includes cakes as well as savoury options and the 5-course evening meals (on 6 nights of the week) will be the highlight of the day. However access to the wonderful ski area has to be the main draw of this Chalet Hotel and being in the heart of this famous ski resort. 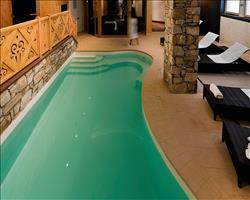 We update Chalet Hotel Ducs de Savoie's details often, but facilities do change. e.g. some extras listed by the supplier as "free" or included might only be for the first time you use them, or for one time per party, then charged for further use. If any specific feature is essential to your holiday, make sure you ask us to confirm the details of it before you book your holiday. This package holiday to Chalet Hotel Ducs de Savoie in Val d'Isere, France departs Sunday 12th January 2020, for a 7 night stay on a "catered chalet" board basis. A local tourist tax (Taxe de Sejour or Kurtaxe) is levied by many councils in European ski resorts. It varies by standard and type of accommodation and is age dependent, so not everyone is charged. It's not included in the basic price of your holiday and is usually paid locally. For reference, the average charged in winter 15/16 was between 50p and £2 per person, per night. Val d'Isere lift pass price last reported as €294 (adult 6 day). 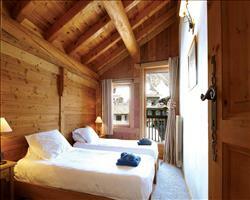 Ask for a quote when booking Chalet Hotel Ducs de Savoie. Chalet Bonneval Val d'Isere France, Stansted to Chambéry 12th January. 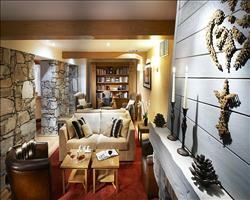 Chalet Bonnevie Val d'Isere France, Stansted to Chambéry 12th January. 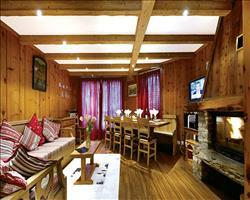 Chalet Hotel Le S... Val d'Isere France, Stansted to Chambéry 12th January. Chalet Hotel & Sp... Val d'Isere France, Stansted to Chambéry 12th January.